Educating the citizenry about the distinction between biodegradable and non biodegradable and what it can do to our environment is one step on the right direction to prevent the environmental woes that we are now confronting. In essence, biodegradable materials do not pose as much problem to our environment as non biodegradable because it can easily be dissolved. Like any other junks, plastic bags or any plastics are non biodegradable and are pollutants that may pollute not only the air, but also the land, and water. They constitute the bigger chunk of our litter and have the most significant impact to our environment. The process alone of manufacturing polystyrene, a material used in plastic bags, is already a problem because it pollutes the air and threatens to alter the climate. Plastic bags are not only so cheap to produce but easy to carry and the most reusable item used everywhere and in the household. 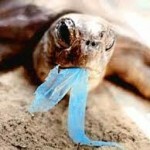 It is for these reasons why it is tough to change people’s mindset on the use of plastic bags. 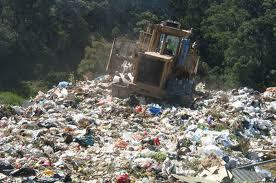 Being non-biodegradable, they hardly break up into pieces, they get hundred of years to break down or decompose. In the process, tiny bits of pieces may drip into the soils and rivers. Polystyrene products like any plastic materials, including styrofoam are usually dumped into the environment as garbage or junks. Although millions of them go to landfill, still their large number ended up as litter and find its way into the streets, storm drainage and waterways. During heavy rainfall and typhoons, plastic bags or non biodegradable materials are the main causes of flash floods of the streets and low lying places in urban areas because it prevents the smooth flow of water. Big amount of chunk plastic materials together along with other non-biodegradable that formed into solid waste can result to the clogging of canals, creeks, rivers, sewers, waterways which can cause heavy flooding. Oftentimes, it is the culprit of sump pump and pumping station to breakdown when pump suction inlet is obstructed. 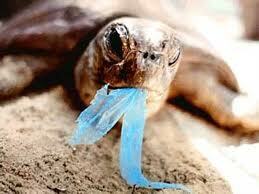 Fragments of plastic materials when taken are harmful to wildlife and to aquatic animals like birds and fish. They can block and congest their digestive system because it is indigestible and tend to accumulate in the animal’s stomach. 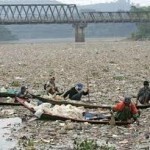 People should take care and bear the responsibility of not polluting and strewing our habitat with garbage. 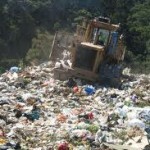 Many environmental advocates are critical on the way people irresponsibly dispose their trash. In Philippine setting, two key arguments were brought up: Firstly, the lack of a law created by the national government pertaining to the regulation of plastics use and the proper implementation of the solid waste management act. 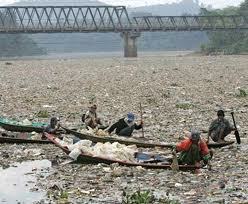 Anything thrown indiscriminately would clog drainage and waterways, the plastic advocates contended. This is a problem of the citizenry’s lack of discipline and poor implementation of anti littering laws in preserving our mother earth, they added. But for people who are in the plastic business industry, there should be a concerted effort among plastic producers, manufacturers, plastic advocates and the concerned local government unit (LGU) in the area to help educate the citizenry in the proper utilization and disposal of plastics or any non biodegradable materials and urge them to recover the same for recycling and put it back into the production stream. It is only through public education and putting more teeth in terms of regulations, ordinances and pertinent laws in solid waste management that such a problem can be addressed. Some non-governmental organizations are doing their share in trying to regulate the use of plastic bags and instead they encourage using reusable bags made of cloth or any other biodegradable materials like paper bags. However, the problem with paper bags is, it is five times costlier than plastic bags. Besides, it would compound to another environmental problem of depleting more of our forest resources since trees are the chief raw materials in the production of paper. Unless, people understand the hazards of plastic bags that can pose to our environment, they can not appreciate and share the responsibility of finding a sustainable solution to the problem in dealing with plastic and other non-biodegradable materials.